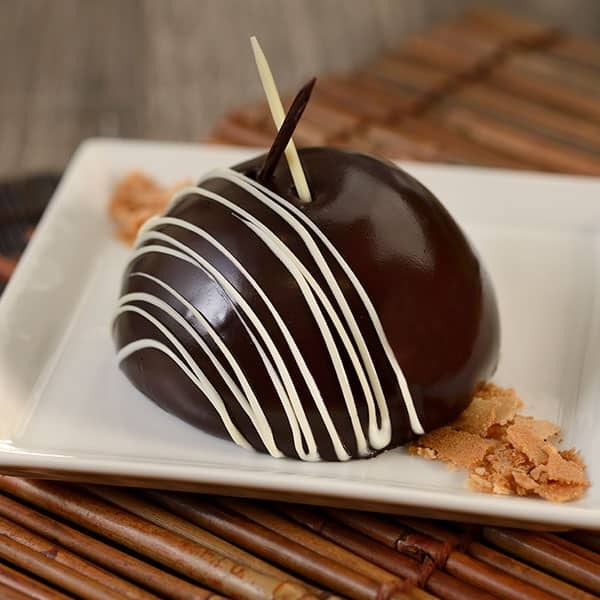 9) Safari Cake – Harambe Market – Guests who spend time in Disney’s Animal Kingdom love to wander through the beautiful village of Harambe which is located in the Africa section of the park. The lively village is home to authentic looking architecture and details in addition to attractions like Festival of the Lion King and Kilimanjaro Safaris and several delicious dining options. In the very rear of Harmbe is a wonderful quick service dining location that is set up to feel like an authentic marketplace in Africa. The Harambe Market features a large courtyard with seating surrounded by several quick service dining counters. Guests who visit the beautiful area can enjoy meals such as Ribs, Roasted Vegetables, Pork Sausage, Grilled Chicken Skewers, and Beef and Lamb Gyro, but a menu item that guests absolutely love to indulge in is more of a sweet treat. The Safari Cake features a moist coconut cake topped with pineapple-coconut mousse and coated in chocolate, making it a tart and sweet bite to enjoy in Harambe!